The Advertising Specialty Institute (ASI) conducted in-person interviews with business people in New York, Chicago, Los Angeles, Philadelphia, London, Sydney, Toronto and Montreal metro areas regarding promotional products they had received. Respondents were asked if they received promo products in the last year and if they kept them and why. Among wearables, bags received as a promo product have the highest number of impressions in a month, over 1,000. Males are more likely than females to own shirts and caps, while females are more likely to have bags, writing instruments, calendars and health and safety products than males. In fact writing instruments are used on average over 18 times per month - that's quite a bit more than bags (just under six times per month). Companies that plan on distributing promotional imprinted products should know that decorating items that have special appeal to the end-user will mean the item gets used more often and held longer, extending the product’s life span and increasing the number of impressions it makes. This is great information and proves that promotional products really do work - 60% of people who receive a promo product did business with the advertiser after receiving it. 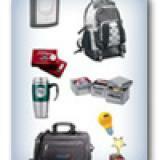 To see some promotional product ideas, click here. To read the study in full please visit ASI's site here.